As 2012 winds down it is difficult to decide which real estate stats to report; historically low interest rates, diminishing inventory, dropping unemployment rates, rising home prices, new construction heating up, or improved consumer confidence? Now that the rest of the country is joining our real estate turnaround, which started two years ago, most real estate articles are increasingly positive and a tad repetitious. We know you get bored reading the same old-same old, so we'll try to report only that which is either new info or significantly different. Below are a few such reports. With a few days left to go in December MLS statistics reveal that Cape homes will reach the highest median price point in several years. The median price, which has hovered in the $160 -170's for much of the year, will bypass the $180's and reach at least $190,000 for December. There is an outside chance of reaching the magical $200,000 mark. Fort Myers passed the $200 K mark earlier this year, and is heading toward the $250 K range sometime next year. We will also come close to the $100 per square foot benchmark this month, which I felt we would reach sometime in 2013's high season. We'll welcome these figures as an unexpected Christmas present. 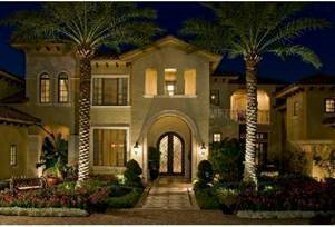 In December 2011 the median home price in Cape Coral was $144,000. If $195,000 is the median price for December, that will be a 35% year to year price increase. When this news hits the national media in a few months be prepared for another stampede buying frenzy from "The Herd". You are getting this valuable info early, and hopefully those that are able to will buy before the Herd drives prices up further. January's report will have complete December and year end figures, along with new predictions for the upcoming year. I thought I was being bold with some of my predictions this year but it's now apparent that I was conservative, or wimpy actually. Better to underestimate and outperform than the opposite. After two years of low to mid-priced homes staging a phenomenal comeback, wealthy homebuyers are once again returning to our market. During 2005 (the peak year of our local market) 73 homes in excess of a million dollars were sold in the Cape. Each year saw declines until 2010, when only 8 homes sold above $1 M.
2011 saw a 50% jump, to a dozen high-priced homes. With a short time left in 2012 fifteen homes have sold at over $1 M, with three of those closings in December. We expect a continued increase in all price ranges for 2013, including (or perhaps especially) in this exclusive segment. There are three $1 M Plus homes currently under contract in the Cape, with closing to take place early next year. There are 34 Cape Coral homes listed at over $1 M in the MLS, with an average price of $1,909,000. These figures don't take into account the numerous high end luxury new construction homes that are being built but never appear in the MLS. We are pleased to report that one of the upcoming Million Dollar Plus sales is with one of our clients. A nice couple that we are representing from Arkansas is closing on a $1,599,000 listing in January in the prestigious Harbour Preserve. We haven't sold a home over $1 M since we sold our own riverfront home in Aug 2008. It is encouraging to have a seven digit sale again, and we hope to have many more in the future. This $1.6 M home's value was $2.5 M at the peak of the market. Another perspective into the appeal of the nicer areas in Cape Coral: a comparable home and development in Bonita would be in excess of $3 Million, and somewhere around $4 - $4.5 M in Naples or Marco Island. Like so many other Baby Boomers, our clients are not yet ready to retire. However, they decided to take advantage of still reasonable prices here and lock in their property tax base. This couple viewed homes from Venice to Marco Island and felt the SW section of Cape Coral (especially Cape Harbour Yachting Community) offered the right blend of value, safety, and luxury. 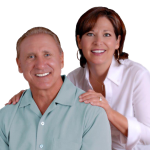 We welcome them as clients, friends and new Cape Coral residents. Client Question: "Since the owner of this particular home bought very cheaply last year, shouldn't we be able to buy it for much less than asking price, even if it's already priced well?" Tom's Answer: NO. I've been asked varying forms of this question many times this year, and the answer is always the same. The property is worth market value regardless of what someone paid for it. If an owner was wise and bought anytime during the past two years they bought the home inexpensively compared to today's values, and they will make a good profit, deservedly so. If an owner bought at the peak of the market does not mean the home is worth more because the owner paid a high price. Conversely, a home bought cheaply, or even a recently bought home that has been remodeled is also worth current market value, no more-no less. What an owner paid for a property has no bearing on the current value. Here is another easy prediction for me: Any of our clients that bought in the past few years, or during the next year are going to look like investment gurus in 2014. Many of you already do! Congratulations. Sunday's Off: In order to start working less than 75 hours a week we are going to start taking Sunday's off for the most part (I can see the smile on Sue's face as she reads this). This will allow us to enjoy some personal time, and enable us to start each week off with more energy. So please hold Sunday emails and phone calls until Monday, unless it's an absolute emergency. Website Blogs: Starting in early 2013 we will be posting blogs on our website (www.CapeWaterfrontLiving.com). One of the areas that we will cover is more client questions. It's been difficult to limit Newsletters to one client question a month. We'll also post short but important snippets that we often want to include in our Newsletters, but we refrain because of not wanting the monthly News Updates to be too lengthy. Off-water Assistants: Our primary real estate focus is waterfront property, but often clients need an off-water home for various reasons (investment or for a family member, etc). With the hefty increase in waterfront sales it has become increasingly difficult for us to properly service our off-water business by ourselves. We have carefully selected a few experienced agents that we have the utmost confidence in, and who are highly knowledgeable regarding off-water homes. 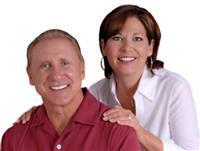 They will be helping us serve our clients that need to buy or sell off-water homes. We will still oversee the transaction, so our clients will benefit from the best of all worlds. * 3.8% Health Care Tax- This is very complicated law, with politicians who enacted it and professional tax advisors alike not fully comprehending it. Suffice it to say for now that you are not affected if you earn less than $200 K if single, or $250 K if married. * Self-Directed Retirement Account for Real Estate Purchases - a savvy means of purchasing real estate when it's on the upturn, while at the same time minimizing, delaying, or possibly totally avoiding income taxes on profits. We, along with several clients and family members have been purchasing much of our real estate via this method, and I will explain in depth how it works in the near future. * Best Purchase/Rental Strategy for Buyers Not Yet Ready to Move Here, but Want to Take Advantage of Today's Prices and Lower Property Tax Base - Such scenarios have occurred over the past few years with many of our out of state Baby Boomer clients. They are all in excellent seasonal property management situations, and had their homes rented by November for the upcoming season. Due to strong seasonal rental demand, income in high season covers most or all yearly expenses, and owners get to enjoy the home the rest of the time. Depending on when the buyers bought their home/condo over the past two years they are ahead 10% to 40% on appreciation, and have locked in a lower property tax base. Contact Tom should you have any immediate concerns/questions on these topics or anything else that we can help with. 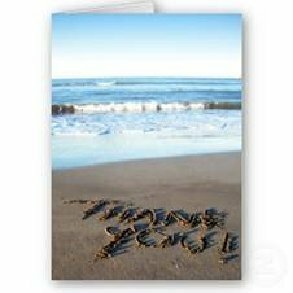 Because of our loyal client base and your referrals, combined with some new waterfront clients, we had a very productive year. Between local waterfront sales and Cape Royal Golf Community sales (combined with over a $1 million in referrals to agents for out of the area clients) we had in excess of $8 million in sales in 2012. This production level should place us in the upper 2 - 3% in the nation. Thank you so much. We do not take our business or our valuable clientele lightly. If there is anything you want to suggest to improve our real estate service or communication level, please let us know.